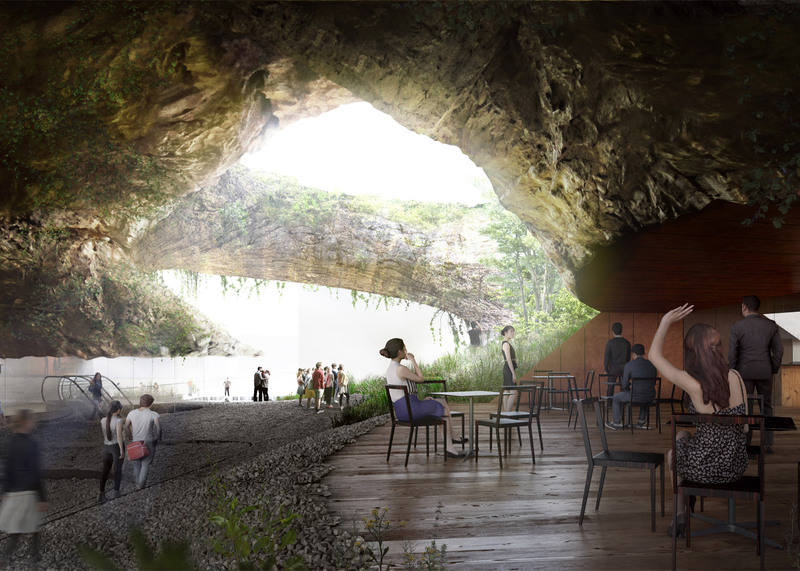 An artificial ravine will carve through the centre of Kengo Kuma's Museum of Indigenous Knowledge in the Philippines, which is shaped like a hollowed-out lump of rock (+ slideshow). The 9,000-square-metre museum by Japanese firm Kengo Kuma & Associates will be situated in the Philippine capital, Manila. History exhibitions within the Museum of Indigenous Knowledge will begin at the Philippine's Neolithic period, which inspired the building's rocky aesthetic. 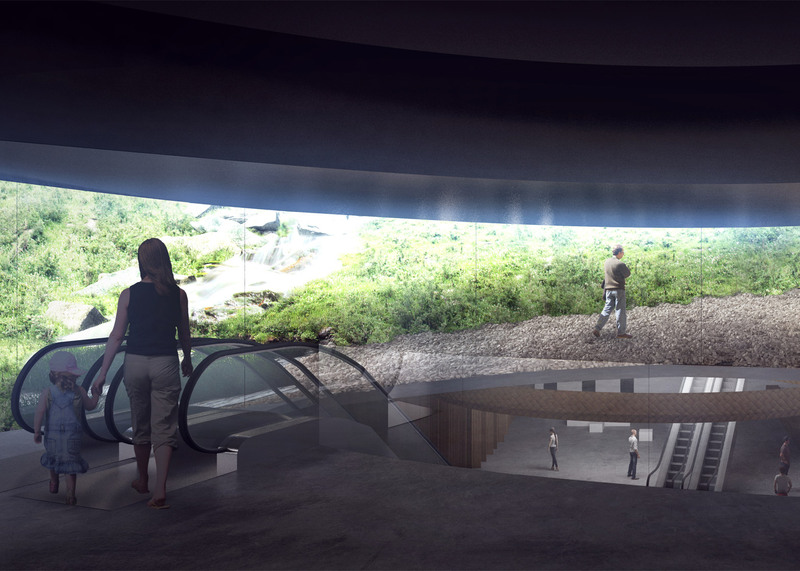 Tropical planting will grow around the edge of waterfalls and ponds set into the ravine, which burrows through the centre of the building and opens up towards the sky. Planting will also climb up a latticed covering on the exterior of the structure – an attempt to introduce nature into the urban setting. "The theme of this museum is to offer its visitors an experience of the Philippines' cultural heritage, starting from the Neolithic age," said the firm. 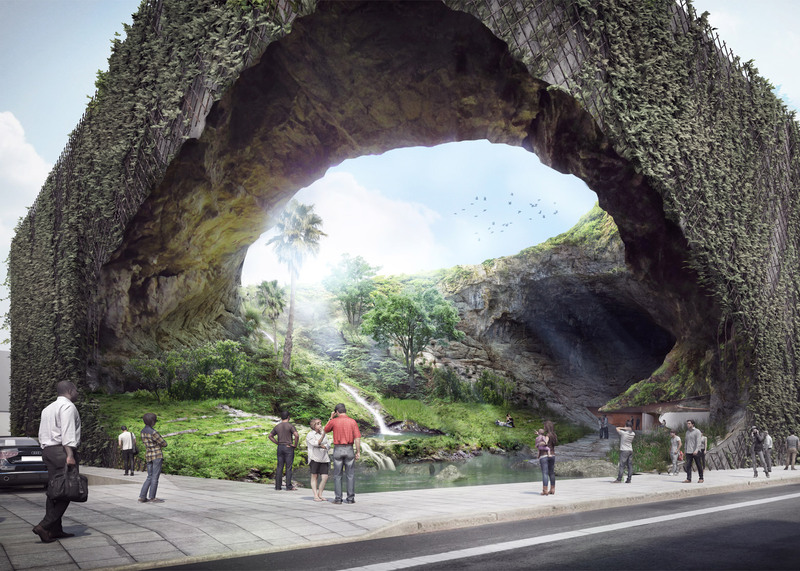 "Based on its concept, we aim to build a natural and organic museum by combining water and green in the cave-shaped space, contrary to the image of museums as closed boxes. It is also an attempt to revive cohabitation of nature and history in the urban environment." A restaurant and shop will occupy decked areas beside the ravine on the ground level of the building, while galleries will be set around the edge of the central feature on the four partial floors above. A further temporary exhibition space and car park will be located in the basement. 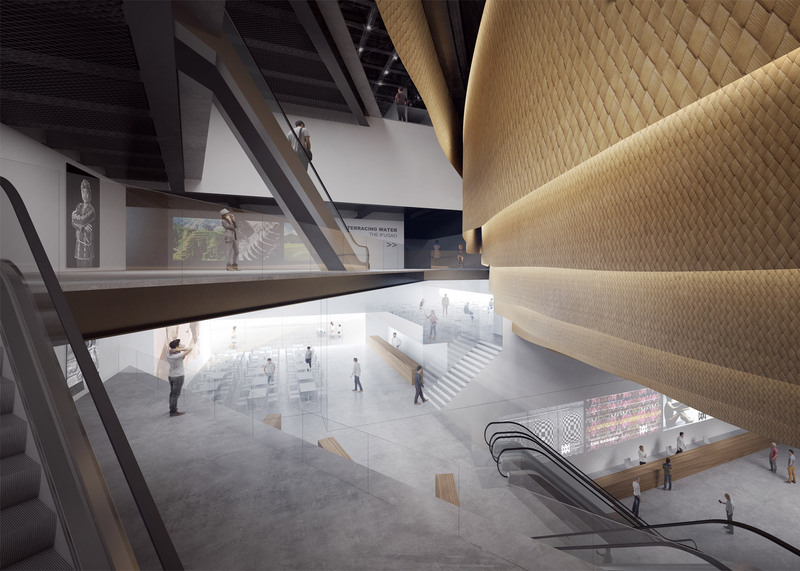 While the outer walls of the building will be craggy and plant-covered, the interior galleries and escalator wells will feature woven-textured surfaces and glass balustrades. In the nearby city of Makati, work is currently underway on a glass skyscraper designed by Daniel Liebeskind. The 60-storey building is set to complete in 2018 and will feature interiors by Giorgio Armani's interior design studio. Kengo Kuma & Associates recently completed work on a Chinese folk-art museum in Hangzhou, which features a sprawling tiled roof line that is designed to mimic the appearance of a small village.